Bourbon, Bourbon, Who’s Got The Bourbon? 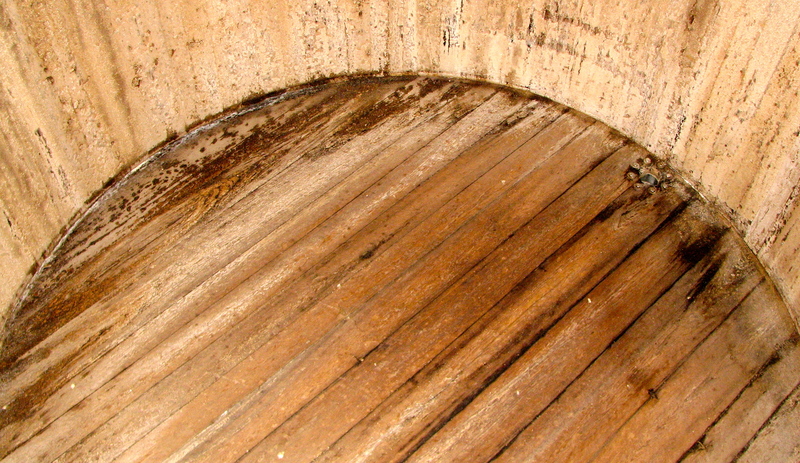 After taking time to enjoy Shaker simplicity, we hit the Kentucky Bourbon Trail. Yes, there is such a thing. You didn’t know that?!! 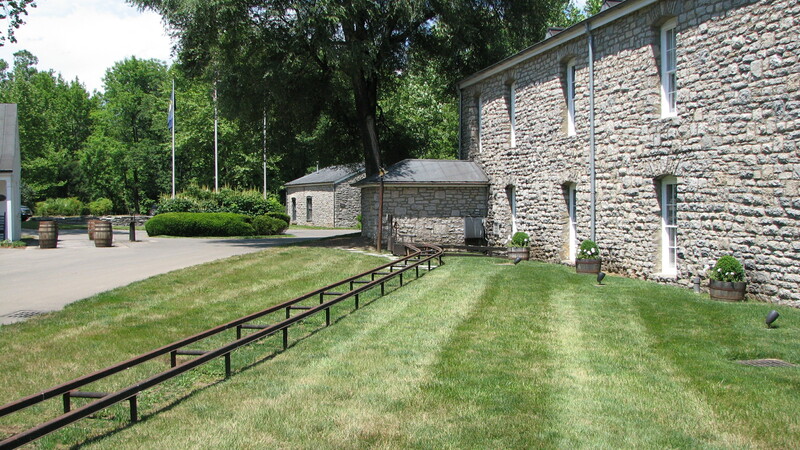 • First we went to Woodford Reserve. It was the only distillery to charge admission. This might be in part because it was a very commercialized, modern place. There were tickets & lines & audio headsets & a short bus ride & a long-winded presentation. Our one small taste of Woodford bourbon was smooth & delicious, but the tour was not what we expected. The whole experience had a “keep it moving” vibe to it. 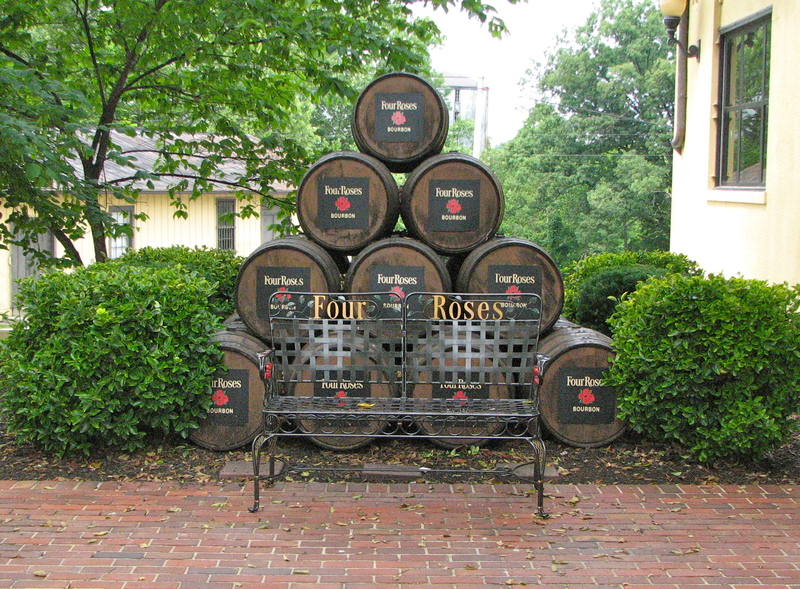 • Next we went to Four Roses. This distillery was about as mellow as the product they were selling. Our tour guide was a young & friendly guy with an amazing knowledge of how the bourbon was made, the buildings in which the bourbon was made– and the charming family history that underscores the brand. At the end of the tour our complimentary tasting included three different types of bourbon with suggestions of which ones to use in mixed drinks & which one to drink straight. This tour was more of the experience that we had expected. • Our third and final tour was at Maker’s Mark. This distillery was by far the most personable and well-organized of the three that we visited. The tour started in the refurbished home of the company’s founder, walked us through the distillery grounds, showed us the fermenting vats, the oak barrel storage facility & the bottling line where the bottles are hand-dipped in the famous bright red wax. This tour ended in a laboratory-type setting where we each had four generous tastes of bourbon. Our tour guide talked us through each glass telling us how the different Bourbons might taste to us– and why. 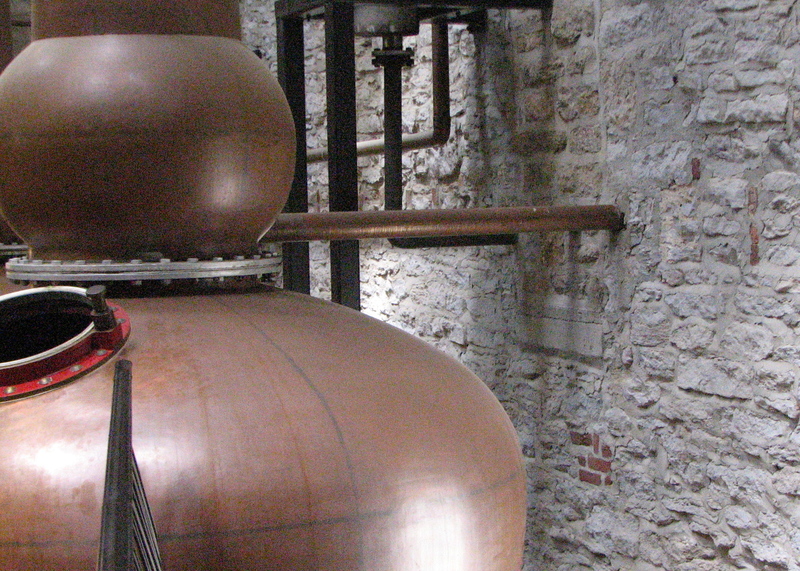 This was the experience we had hoped for along the Kentucky Bourbon Trail. Maker’s Mark, the bourbon that made me say, “Ohhh, now I understand why people drink bourbon!” Quality makes a difference. Your comment could be the basis for an ad campaign! 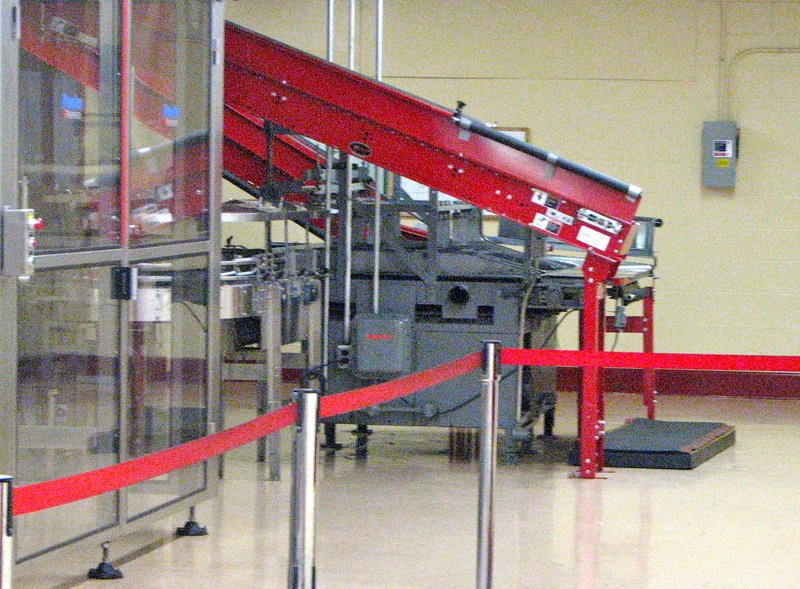 The Maker’s Mark distillery tour was great– informative, upbeat & just plain ‘ole pretty. Plus I’d never tasted white dog [aka white lightning or moonshine] before, so that was fun. 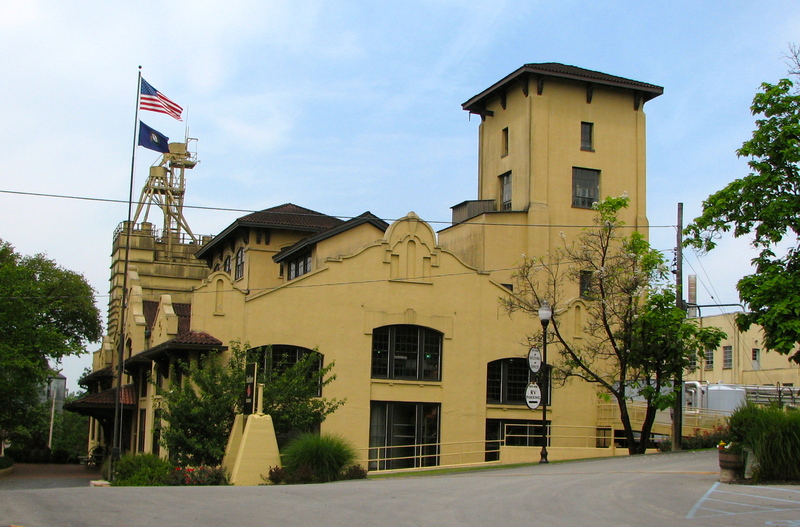 I toured a bunch of distilleries and wineries with my family when I was young. I always found them fascinating and I still love the “how it’s made” type of show. 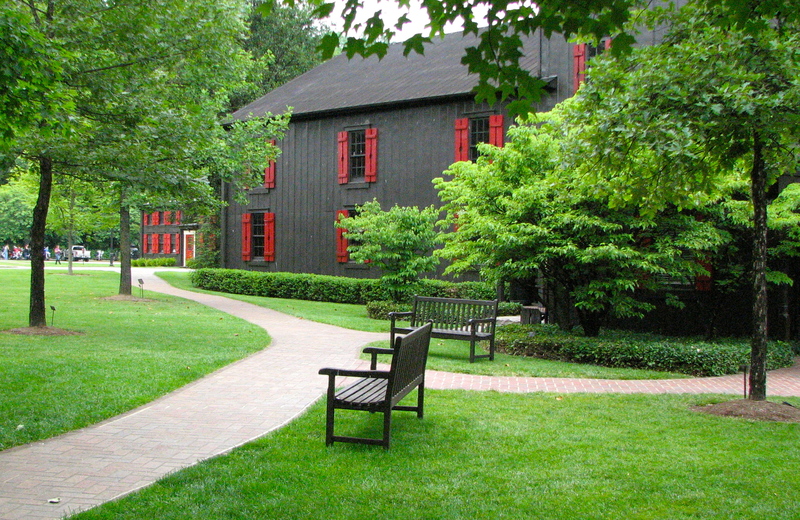 The Maker’s Mark tour sounds wonderful and interesting. Oh, and I love your disclaimer! Zazzy, I always like the “how it’s made” tours, too. All three of the tours we took were good, but just very different one from the other. As are the flavors of each bourbon. As for my disclaimer, thanks! You can tell that I’ve spent my whole life around lawyers, can’t you? Clarity + strict adherence to the rule of law is important. I don’t know that I’ve ever had bourbon, but I’d be up for this tour. It looks beautiful! Margaret, I think that bourbon is one of those things that you either like OR not. No middle ground. That being said, seeing it being made was interesting. 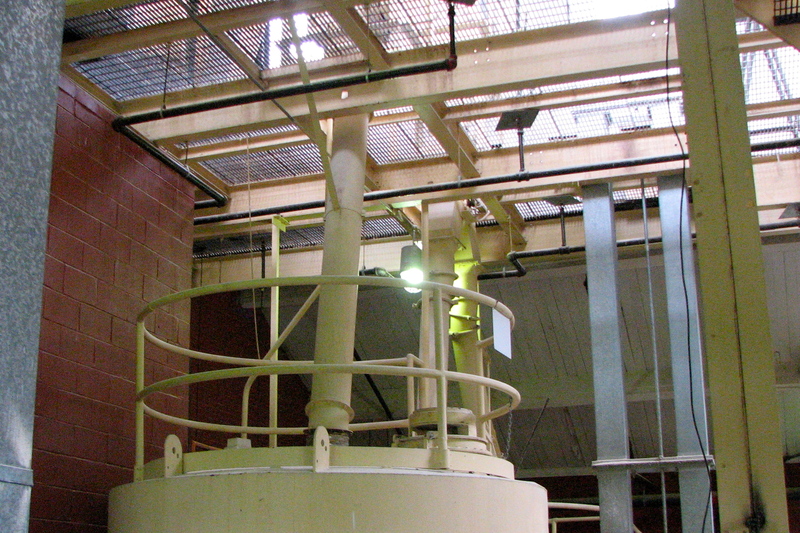 Even the kids with their parents on these tours seemed engaged– huge vats, boiling goop, bright copper steamers, wooden barrels, conveyor belts. What’s not to love? Melisa, we were with another couple on this getaway and E was an Ambassador! He got a pin for the tour & Maker’s Mark found “his” barrel which will be ready next year. He spent the rest of our vacation trying to get us to call him “Ambassador E.” It was goofy fun. I’m not a big fan of bourbon but I do like wine and did a tour of some of the wineries in Napa Valley, north of San Francisco when I was over there. That was amazing and we got to try so many different wines. The person doing the tour was very friendly and knowledgeable. I felt very sophisticated! I tried a lovely sweet dessert wine called Agave or Agape or something like that (with a long A and accent on the E) but I’ve never been able to find it over here. Sweet nectar it was indeed! Polly, I’ve never been on a wine tour. I’m not a big wine drinker, but would love to know/see how wine is made. Maybe someday we’ll get to CA and do the wine tour thing. 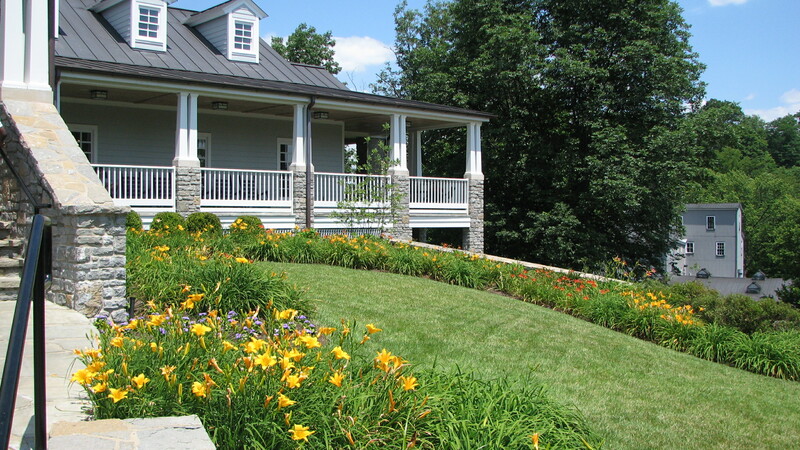 Yeah – you need to do the wine tours….I think Northern Virginia is gaining quite a reputation for their vineyards according to Tavel and Leisure magazine. Maybe you’ll find your wine. I never was much of a wine drinker until touring vineyards in CA. 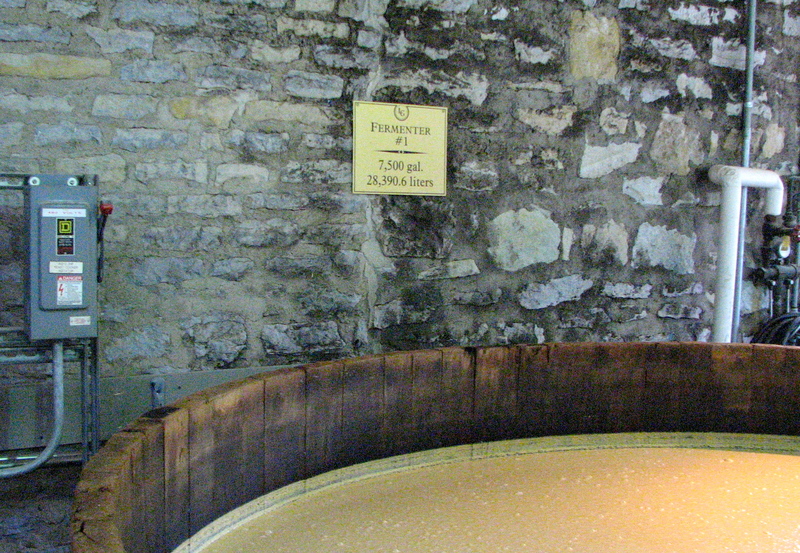 Oh, and the Bourbon tours is the tradeoff I use for visiting the Shaker village! phil, I didn’t know that about northern VA. I can see us getting there before we make it out west again. Good idea. Oh, I do love a good weekend getaway. Sounds like yours is fantastic. Relyn, it was fun. We don’t do that sort of thing often enough.